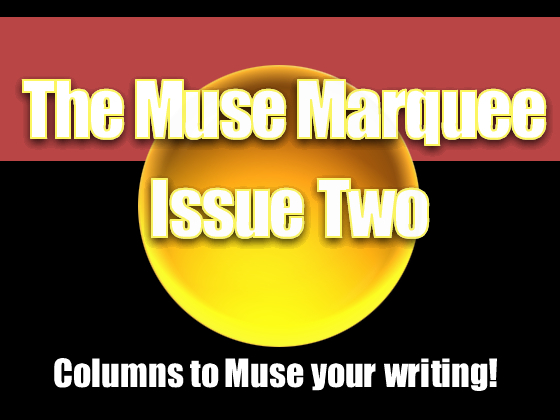 Each archived PDF issue of The Muse Marquee will bring you columns to hone your writing, to offer you tips, along with helpful links...all for the low price of $2.99US ONLY! These PDF archives are an excellent addition to your writing library to refer to whenever you want. The principal reason for setting stories in times past is their enduring popularity. Many, if not most, readers love history. People enjoy having their imaginations stimulated by thinking of what life was like in bygone eras. Not everyone is fascinated by formal history as taught in schools or college, but fiction offers an experience of history at a personal level, dealing with people in their daily lives and conflicts. It’s not difficult to find a textbook which provides a sophisticated analysis of the Napoleonic Wars, for example, but how much more fascinating it is to read about them and re-live them through the experiences of British soldier Richard Sharpe as described in the brilliant historical novels of Bernard Cornwell. Check his books out at http://www.bernardcornwell.net, and note how many other sites there are devoted to Sharpe and his imaginative creator. Every writer at some point sweats the next step once a manuscript is almost at completion or fully completed with edits to boot. And this step is writing The Query Letter to an agent. And duly noted that this will be, besides your manuscript, the most important introduction of you and your craft to an editor or agent. It will be the deciding factor on whether or not they will request to see your completed manuscript. Possessing a sense of humor is a wonderful gift. Finding situations and material to stimulate a child’s sense of humor is a skill coveted by most writers. Is there any way we, as writers, can sharpen our own funny bones? Can we learn to be funnier, make our writing more entertaining? Is it just a matter of making simpler, some things we adults find funny? A 'speech tag' is more correctly known as an 'attribution'. * An 'attributive phrase' does just what it says - it attributes direct speech to a specific speaker (or, in rarer cases, speakers). "I can't do it," she whispered. "I can't do it," she whimpered. "I can't do it," she said. "I can't do it," she concluded. "I can't do it!" she insisted. "I can't do it!" she yelled. "Can I do it?" she asked. Buy Issue Two for ONLY $2.99! Once payment is verified, your PDF will be delivered to your email box. Please include your name and email address within your Paypal payment.